Azle, Texas (January 9, 2012) – The International Elephant Foundation (IEF) has announced that it has donated a StepOnePlus qPCR System to the National Elephant Herpesvirus Laboratory (NEHL) at the Smithsonian National Zoo. The qPCR system represents one of the most powerful and sensitive gene analysis tools in the field and will be an invaluable asset enhancing the NEHL’s current diagnostic testing and analysis capabilities. 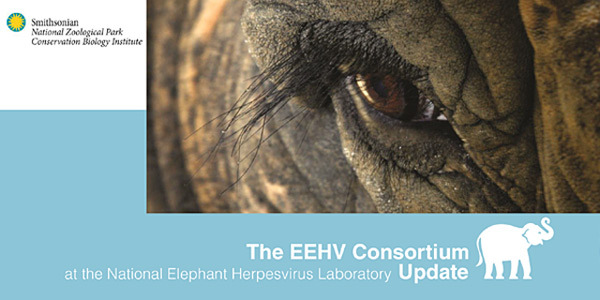 Elephant endotheliotropic herpesvirus (EEHV) causes acute hemorrhagic disease and is one of the most significant causes of disease and mortality in Asian elephants internationally. EEHV was first identified and described by Dr. Laura Richman, first as a veterinary pathology resident at the Smithsonian National Zoo and then as a comparative pathology resident in Dr. Gary Hayward’s laboratory at Johns Hopkins University. The polymerase chain reaction (PCR) identifies the presence of viral DNA in a blood or tissue sample and is a primary tool for diagnosing EEHV in elephants.